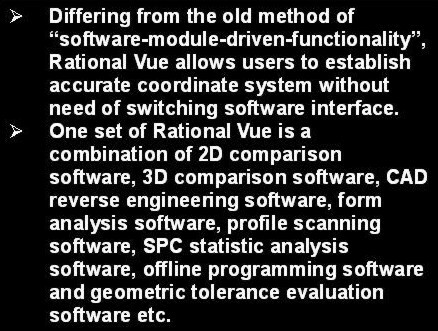 EZ-SMART 2.5D Video Measuring Software- Rational VueAll EZ-SMART 2.5 D VMM series combined with new integrated video measuring software Rational Vue. 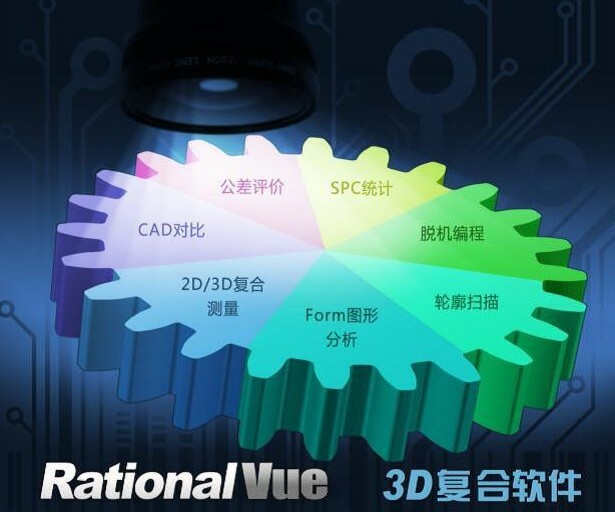 Rational Vue completely inherited CAD seamless connection, 100% graphical display, quick drag & drop operation, real-time CAD comparison, multiple picture reports, advanced algorithm etc. With a simple operation and powerful function as well as ensure advancement and reliability of algorithm, it widely applied in many industries, such as metals, tools, machining, precision manufacturing, automobile components, stamping, aviation work piece, plastic & rubber products, mobile phone industry, PCB board, electronic & semiconductor work piece, plate glass (touch screen & LED board), medical equipment, cutter etc. 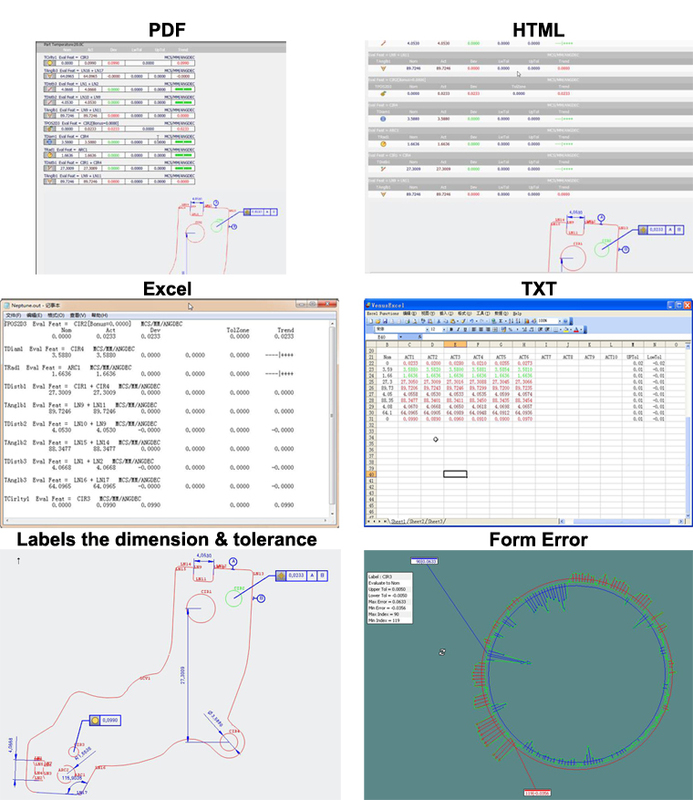 Supports 21 error compensations, including linear, straightness, angle pendulum, perpendicularity etc. Supports Z-axis rotation compensation, perpendicularity compensation (with parallel bottleneck), probe compensation (with probe) lens XY scale correction. The internal glass linear scale and plane & array compensation plate auto-program can assist users to get compensation data quickly that to greatly improve compensation efficiency of machine and reduce user’s personnel error & time cost. CCD combined with probe coordinate system, measured feature unifiedautomatic. 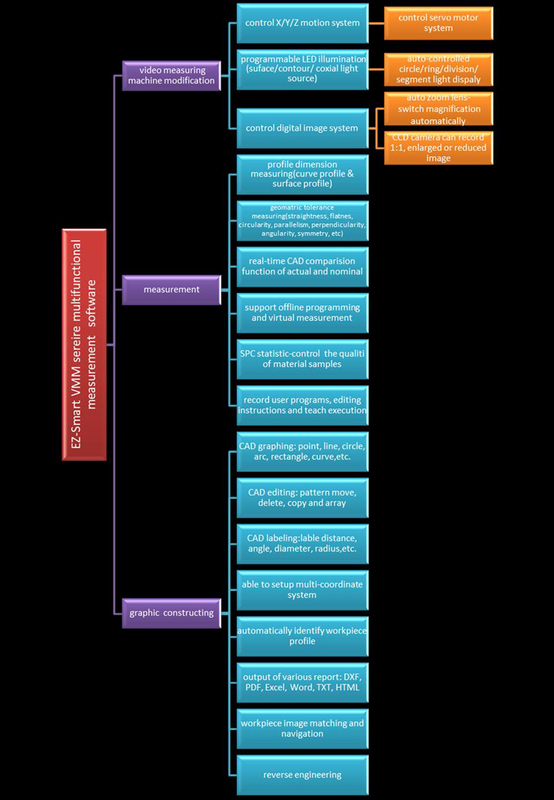 CCD and probe program can alternate into the same program from beginning to end. Real-time scanning for full image of work-piece (see image below) The software can scan full image of work piece that directly used for GPS navigation to quickly find position where need measuring, so as to avoid losing during measuring, meanwhile improve efficiency greatly. l Output of various reports, including PDF, Excel, TXT, Html, Image etc. 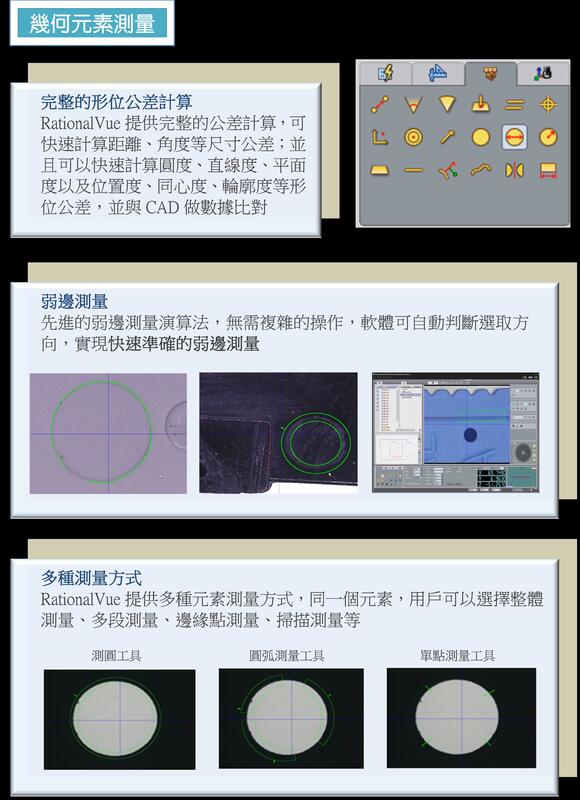 Labels the dimensions & tolerance: distance, angle, radius, diameter, circularity, straightness, position, reference feature marking etc.